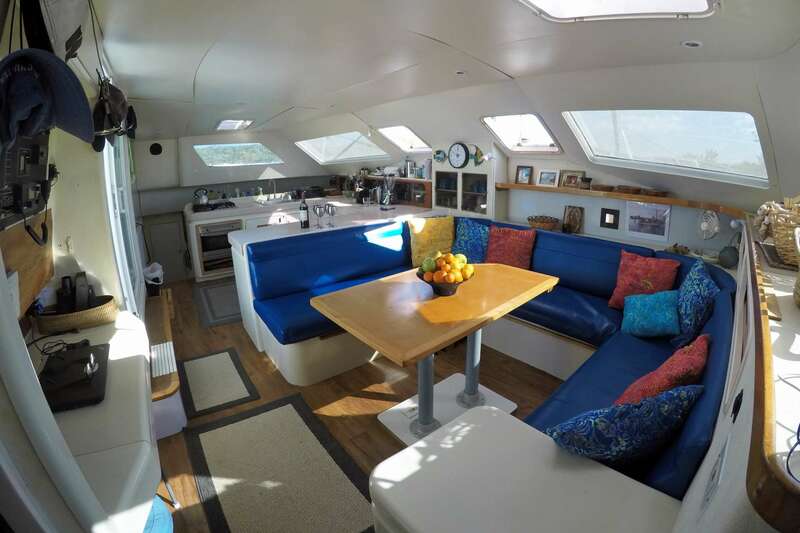 Enter the realm of peace and tranquility... on board this luxury catamaran Swish, where the main objective of the professional crew is to ensure your idyllic vacation. 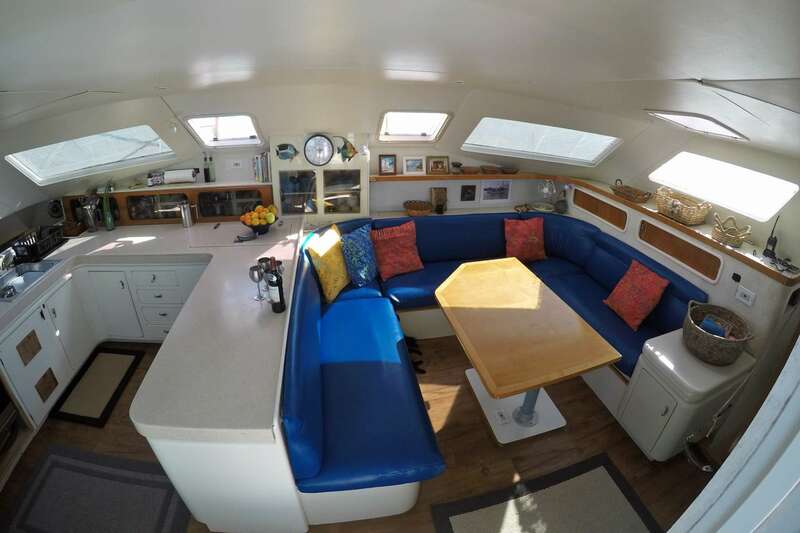 Sail away to adventures untold... at a relaxed pace - the stability of the twin hulls offers the highest degree of comfort while underway, or while at anchor. An exhilarating sailing experience for novice and professionals - especially when enjoyed between the pontoons - on the oversized trampolines!.. Attention to detail is obvious in the custom designed interior. Elegant appointments in the airy saloon - a room with beautiful views. This could be you on Swish! 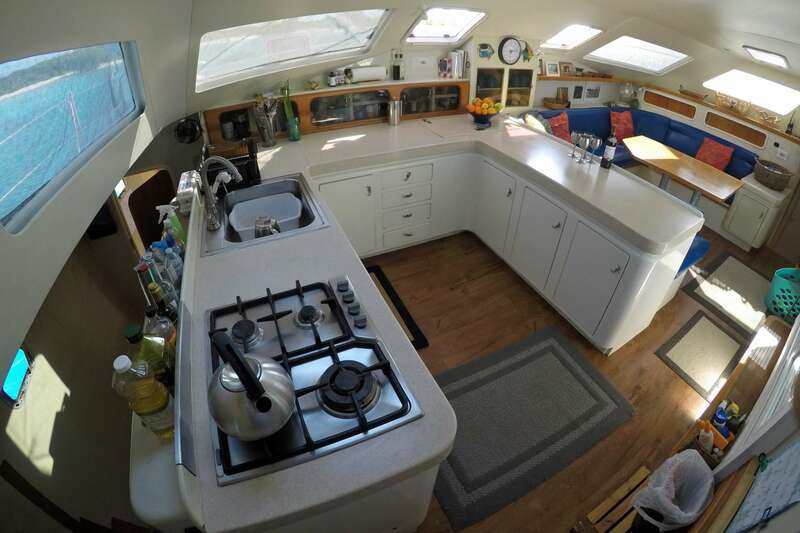 SWISH can accommodate 7 guests in 4 cabins. 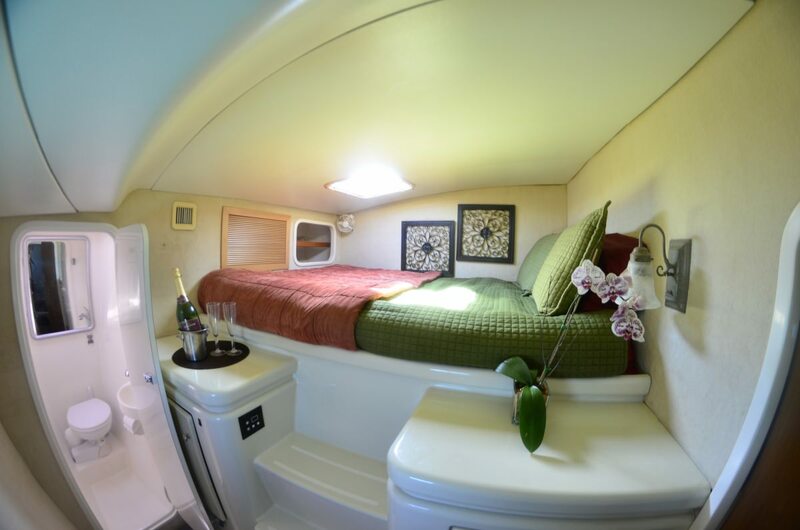 3 Guest cabins have a queen size bed, shower, and toilet. 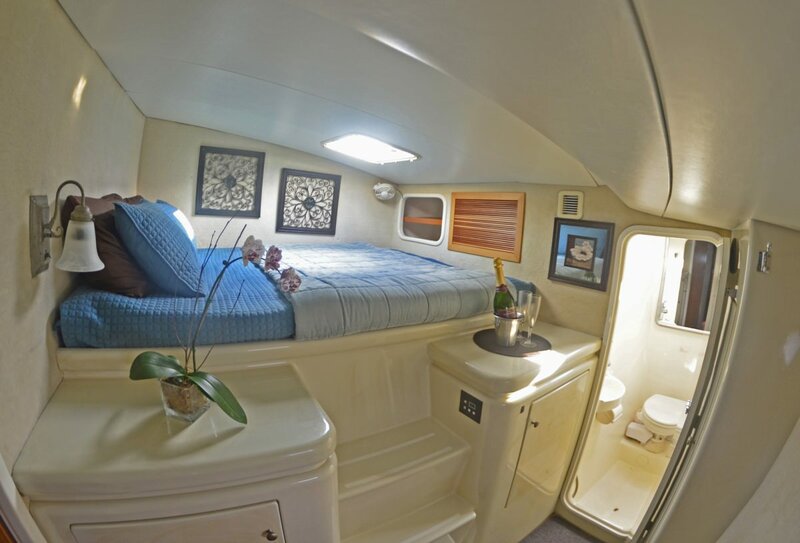 A midship center starboard Guest cabin has a single berth (shared head with the starboard forward cabin) which is 1 foot high for easy access. 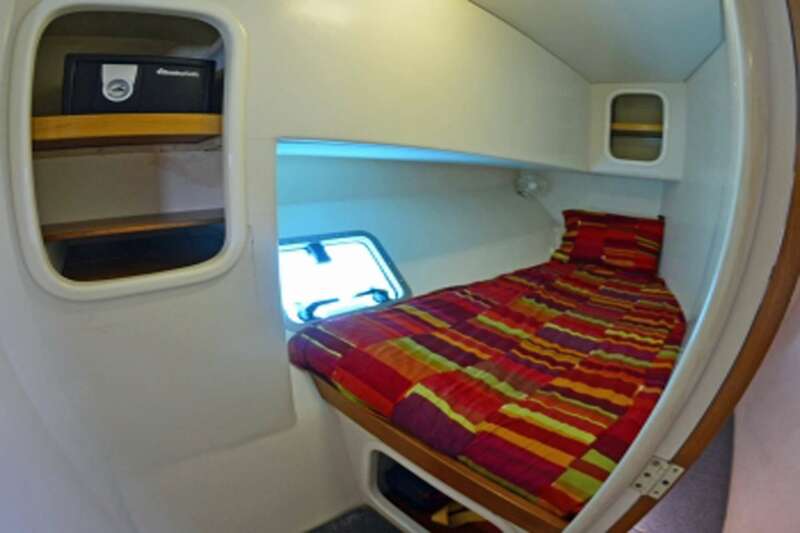 SWISH has two electric fans in each cabin. 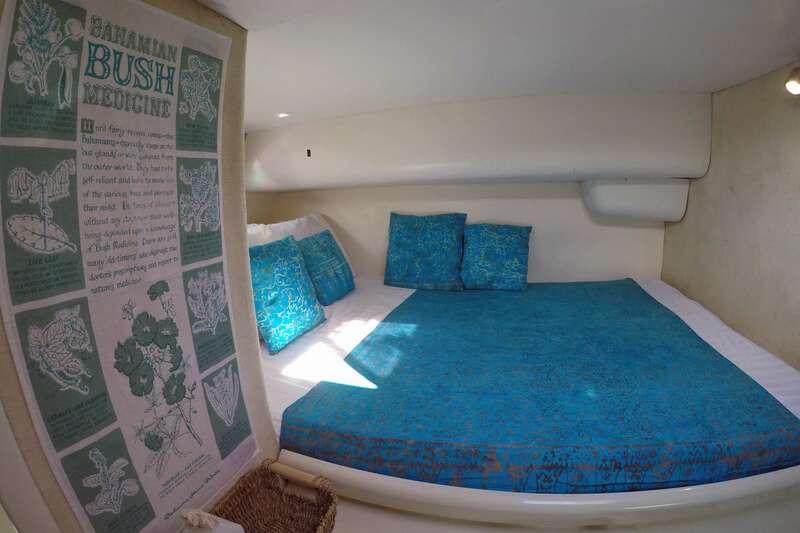 Guests find these are quite sufficient to sleep comfortably, along with open hatches to feel the fresh air breezes from the trade winds, and it's environmentally friendly! There's also shades for hatches and windows plus two large sun awnings. The Crew has a separate head and shower. Swish has a light, airy, spacious salon with comfortable upholstery. 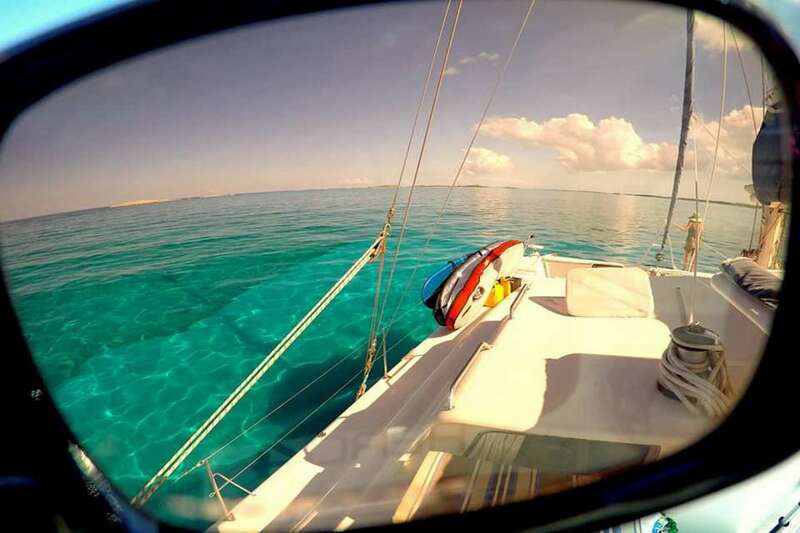 The rigid cockpit bimini has side and rear sun/weather screens. 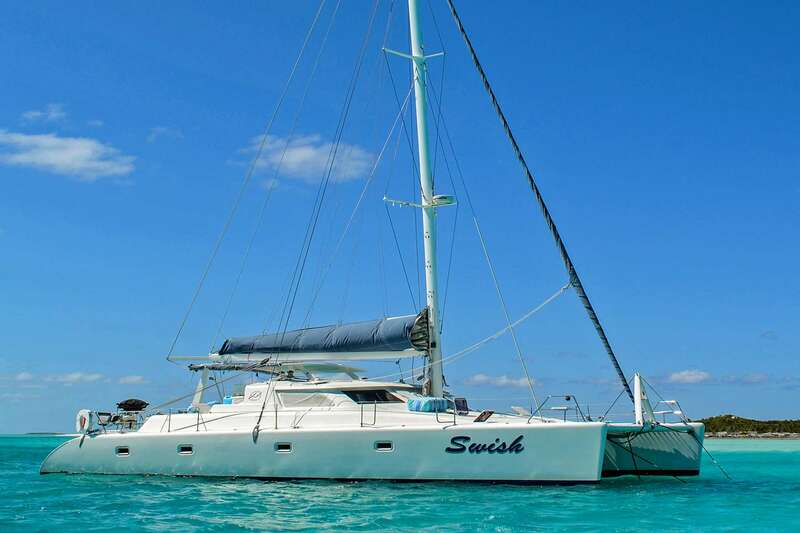 Swish has trampoline awnings for the extensive foredeck and large trampolines. Covered cockpit cushions. Icemaker. Dive Platform with a transom shower.